I’m going to give it to you straight: our politicians are failing us. The outcomes of the recent “historic” international climate negotiations in Paris last month do not put us on track to avoid the worst impacts of the already unfolding climate crisis, and the United States is largely responsible for the shortfall in global ambition. Meanwhile, the money of the corporate elite continues to drown out regular people’s voices in our democracy—threatening our rights, our communities, and silencing the call for a just and livable future on this planet. But here’s the thing, we can reclaim our power and our future, starting now. While politicians drag their feet, bottom-up movements are winning real victories, shifting public opinion, and threatening the power of the status quo. In the past few months, we have ended Arctic drilling, killed the Keystone XL pipeline, and put a halt to all new leases of coal on federal lands. The fossil fuel industry is beginning to fall back…it’s time to #SpringForward. 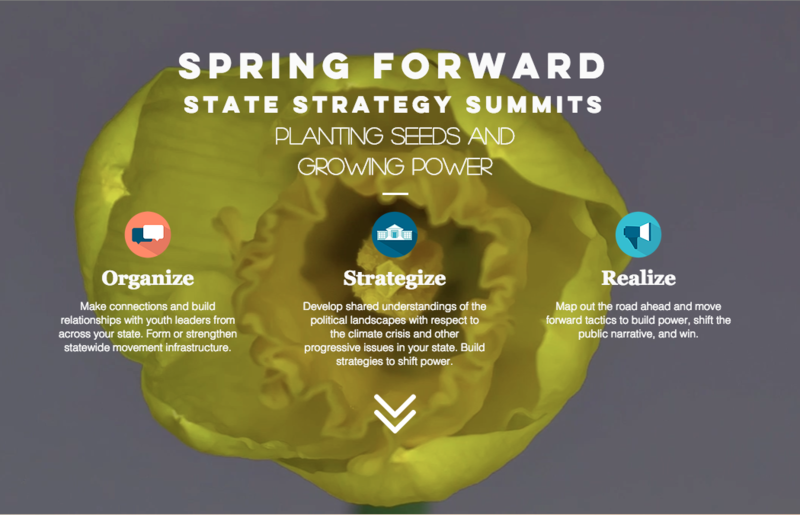 This Spring, as a part of our Future Power initiative, youth leaders from around the country are moving beyond their campuses and communities and coming together for statewide strategy summits. We will lay the groundwork for building long-term movements to shift the political climate and activate a critical mass of the public to demand the types of systemic policy changes that are needed to transform our society and protect our futures. This is the culmination of over a year of planning and development, and I truly believe these summits can change the course of history. Click here to learn more about these game-changing strategy summits and find one near you. Develop strategies to shift the balances of power within their states and launch campaigns for transformative policy demands. Young people have always been a bold, ambitious, and demanding force throughout the history of change in our country. We are already leaders in shutting down pipelines and coal plants, divesting our universities’ money from fossil fuel companies and other special interests, and fighting for social justice on campuses and in the streets. But we know that the change we need is bigger than any single pipeline or endowment. That’s the change we’re coming together to build this spring. 2015 was the hottest year ever—but we’re just warming up. 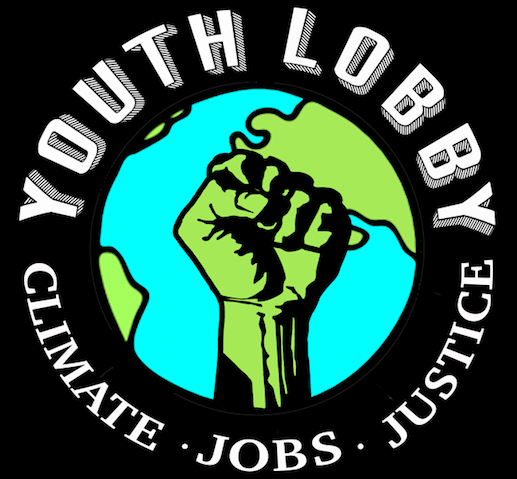 ← The Largest Youth Focused Climate Change Rally in America’s History Just Occurred in Vermont!